At Kandahar, Mr Hariz hosted Richard (now Radhanath Swami). Once while having a philosophical discussion with him, Richard noticed Hariz howl like a wolf and a mongoose crawled into the terrace and soon crawled up to Richard’s long hair and went to sleep. Hariz apologized but said if Richard were to try to wake up the mongoose, he would tear his head to shreds. Richard spent six hours hosting the mongoose; it was a hard lesson in patience and tolerance. The pain was intense but he couldn’t afford to sleep. Richard spent the night praying and realized the mongoose was teaching the sacred virtue of patience and forbearance. Radhanath Swami writes that the lesson the mongoose taught would give him strength in the hard times that awaited him in his search for enlightenment. Finally when the sun rose, the mongoose crawled down the back and stared at Richard with an innocent affection as if thanking him for his hospitality. There is a wise Indian saying, ‘atmavat manyate jajat’, the world is a reflection of our own state of consciousness. Since Radhanath Swami is naturally grateful and kind, he could also see the mongoose express gratitude. Radhanath Swami also learnt the need to be tolerant in the company of the mongoose. The way Radhanath Swami built his community of dedicated members at Mumbai is a classic example of his tolerance. The community premises where Radhanath Swami lived in the late 1980’s was poverty stricken. The neighborhood was noisy; he had rats- the size even cats would fear- for company. Even by Indian standards, the place was disgustingly dirty; yet Radhanath Swami- an American by birth- lived here happily chanting the names of God and influencing others through his sterling qualities of tolerance and patience. Radhanath Swami is constantly absorbed in selfless service; hence he easily transcends physical surroundings. On one occasion after a long and tiring day, Radhanath Swami rested late at night, yet although he was sick, he was up for the morning temple services. A student unable to see his guru, Radhanath Swami’s physical illness, requested him to go and take rest. Radhanath Swami smiled and replied, “I feel unhappy if I do not make it for the morning programme.” The student replied, “But I feel unhappy to see you come for the services when you are sick. 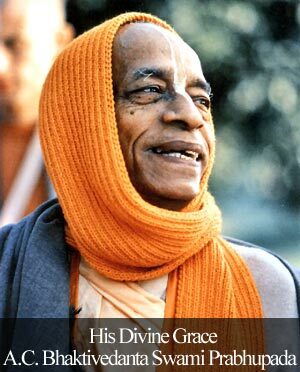 And I feel happy when I see you not come, because I know that you are taking a well-deserved rest.” Radhanath Swami immediately laughed aloud and said, “Thank you for your concern but it’s better that you feel unhappy rather than I feel unhappy.” The student was defeated. Radhanath Swami disregards his bodily sickness to come for the morning services, just so that he can inspire his younger students to practice strict spiritual standards. 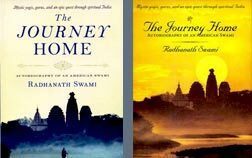 Since Radhanath Swami himself practices the highest standards of tolerance and patience, his realizations on this subject penetrate the heart deeply. This is so profound quality. Tolerance! Just saying it reminds of a tree which is a symbol of tolerance and the tree is also recognized for this quality by Sri Krishna Caitanya Mahaprabhu. Thank you Radhanath Swami to give us an example to follow. Tolerance is very much required quality in this age. As Radhanath Swami rightly said, with out tolerance, it is very difficult to maintain relationships at any level. Thank you Radhanath Swami, I as a householder understand how difficult it is to be tolerant and at the same time how important it is, by your example and encouragement we are trying our best to imbibe this glorious quality. This is extreme example of tolerance shown by HH Radhanath Maharaj that could be seen in modern times ! Radhanath Swami Maharaj extends himself beyond unimaginable limits…. Thought provoking and highly inspiring article. Enough is enough don’t push me beyond a limit. Everyone has their level of tolerance and when that is encroached upon, as they say all hell breaks loose. Now how can some one posse quality of tolerance also among so many other qualities. Well! Radhanath Swamis life is testimony. This is so true. In todays world we have lost patience and tolerance. This is needed so much without which there are only conflicts and quarrels. With out tolerance, it is very difficult to maintain relationships at any level.H.H Radhanath Swami is an ideal example for this tolerance. Nice article-exposing different situations in life where tolerance might be demanded. Maharajah is personification of humility,tolerance and love. Whoever will meet him once, will never remain same. We need to get these ideas into our daily life to make it successful. Thank You Maharajji. It is very difficult to maintain relationships at any level.H.H Radhanath Swami Maharaj is teaching this by his own personal example. such a tolearance ,shown by Radhanath Swami , is quite a much needed in all in today’s FAST day & age. Thank you Radhanath Swami for teaching us through your personal example, of what is tolerance? If we can make sincere attempt to follow your teachings it will make great difference in our lifes. When I read this incident of Maharaj in his book ‘The Journey Home’ I was quite amused at the humor involved, but when I read Maharaj’s realization I could not help but reflect on the quality of tolerance which is so important in our spiritual life. Thank you Maharaj for the wonderful lesson. Prachar by aachar- ie. praeching by exemplary behavior…and tahts the greatness of this soul..He has been always exemplary in all fields and thus Maharaj commands respect from all…a true sadhu.. Very inspiring article on Tolerance – Thanks a lot for sharing. Radhanath Maharaj is the most tolerant and humble personality i have ever met in my life and i am sure there are thousands who share the same feeling as i do. Radhanath swami has all the good qualities. In his lecture he stresses the point of gratitude a person should have. Thank you Radhanath Swami for giving us this beautiful article on tolerance. Certainly I’m not as tolerant as HH Radhanath Swami, but I can try to follow in his footsteps. Tolerance and humility this was known to me only after listening from Maharaj. He not only talks but also a has shown us from his life and behavious. 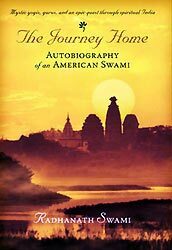 Amazing story from the life of Radhanath Swami. Maharaj has taught me many important virtues !! This is just amazing & Very inspiring. Thank you.